In Quick Hits, we look through our stacks to bring you books that, when they were published, elicited a lot of reaction and praise. Our selections will include books published this year, last year, or any year. They will be from any genre. The best books are timeless, and they deserve to find readers whenever and wherever. Françoise Laurent has never had an easy life. The only surviving child of a destitute washerwoman and wayward soldier, she must rely only on herself to get by. When her parents die suddenly from the smallpox ravishing New France (modern-day Montreal), Françoise sees it as a chance to escape the life she thought she was trapped in. Seizing her newfound opportunity, Françoise takes a job as an aide to the wife of a wealthy fur trader. The poverty-ridden world she knew transforms into a strange new world full of privilege and fine things—and of never having to beg for food. But Françoise’s relationships with the other servants in Madame Pommereau’s house are tenuous, and Madame Pommereau isn’t an easy woman to work for. When Françoise is caught stealing a pair of her mistress’s beautiful gloves, she faces a future even worse than she could have imagined: thrown in jail, she is sentenced to death by hanging. Once again, Françoise is left to her own devices to survive … Is she cunning enough to convince the prisoner in the cell beside her to become the hangman and marry her, which, by law, is the only thing that could save her life? The first child born into freedom in Buxton, Ontario, a settlement of runaway slaves just over the border from Detroit, 11-year-old Elijah is best known in his hometown as the boy who threw up on Frederick Douglass. Not on purpose, of course he was just a baby then! But things change when a former slave calling himself the Right Reverend Zephariah W. Connerly the Third steals money from Elijah's friend Mr. Leroy, who has been saving to buy his family out of captivity in the South. 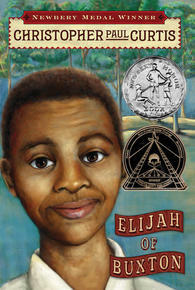 Elijah joins Mr. Leroy on a dangerous journey to America in pursuit of the disreputable preacher, and he discovers firsthand the unimaginable horrors of the life his parents have fled a life from which he'll always be free, if he can find the courage to get back home. Note: There is a companion to this book: The Madman of Piney Woods. Two-and-a half millennia after it was created, Homer's Odyssey remains one of humanity's most memorable adventure stories. 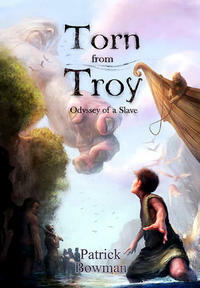 In this re-creation of Homer's classic as a young adult novel, we see the aftermath of the Trojan War through the eyes of Alexi, a fifteen-year-old Trojan boy. Orphaned by the war and enslaved by Odysseus himself, Alexi has a very different view of the conquering heroes of legend. Despite a simmering anger towards his captors, Alexi gradually develops a grudging respect for them. As the Greeks fight off the angry Cicones, weather a storm that pushes them far beyond charted waters, and nearly succumb to the blandishments of the bewitching Lotus-eaters, he realizes that they are not the demons they were said to be, but people like himself. Editor's Note: This book turned into a trilogy—see books 2 and 3 here. Far away, and on the other side of time, there lived Clever-Lazy, an explorer who loved to invent marvellous and useful things. She longed for a chance to do nothing but invent. When that chance came, it was not quite what she expected. Not everyone understood her inventions. Sometimes they puzzled people, or frightened them. And the inventions that frightened even her, proved that invention for invention’s sake was not enough. 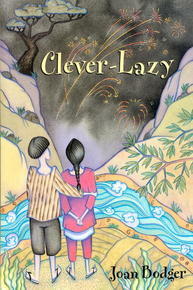 Clever-Lazy and her friend-husband Tinker move across a landscape that may or may not be ancient China. Certainly her inventions, including gunpowder, are all from that time and place. But whatever the setting, the truths of her story, and the magic and mystery of her fate exist everywhere and in all times. It's the early 1900s and Edward Setten is growing up in the prairies fascinated by his uncle, who is one of the very first people in Canada to pilot a plane. 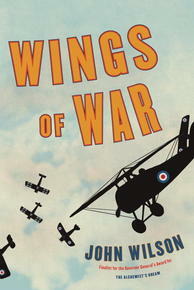 Despite his mother's protests, Edward learns to fly and, when war breaks out, joins the Royal Flying Corps. 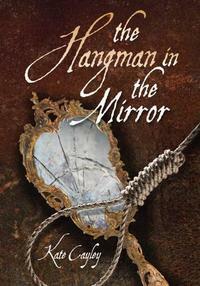 In this fast-paced and gripping novel, Edward's coming of age takes place in the most extraordinary of circumstances.